“The Welcoming” Immigrant Rights Peace Sculpture For the U.S border with Mexico. ...this time on the U.S. border with Mexico, in Laredo, Texas. Support our immigrant rights project and our vision, supporting peace and cooperation with Mexico, South America and Central America. Marcello Giorgi unveils the maquette for "The Welcoming" sculpture that will be installed at the U.S.-Mexico border in Laredo, Texas. OWHR Institute-Quebec/Arts Way Home Charitable Fund presents our maquette sculpture, gifted to The City of Laredo. Pictured are members from the City Government of Laredo, including Mayor, City Manager and City Councilors, the Abrazo Partners (four architectural team consortium on our project), Laredo College staff and the Consular General of the Mexican Consulate in Laredo. OWHR Institute-Quebec has prepared the non-profit. Arts Way Home Charitable Fund, Inc., for your U.S. tax deductible donation. Please give generously. You can go to our official Arts Way Home website for complete, up to date details, including official City of Laredo photos and videos of The Welcoming Sculpture project for the City of Laredo, Texas. Click here or click these photos of our sculpture maquette on this page. Your contribution builds this long-overdue “Statue of Liberty for our time,” on the U.S. Border with Mexico, ...to finally be located on the Mexican approach to a major US Inland Port of Entry. This site is a city owned four block newly designed plaza for the citizens of Laredo, Texas and the world to enjoy and visit and to make sure our future paradigm will honor those who have come from Mexico, South America and Central America. Here above, you see “The Welcoming” Immigrant Rights Peace Sculpture maquette that was gifted to the City of Laredo. OWHR Institute-Quebec and our U.S. based Arts Way Home Charitable Fund, in collaboration with world renown Italian Sculptor, Marcello Giorgi and his Associate, Nathalie Purchio (who together own and operate The Italian Arts Center in Montreal), we together gifted this beautiful maquette immigrant rights sculpture to the City of Laredo. 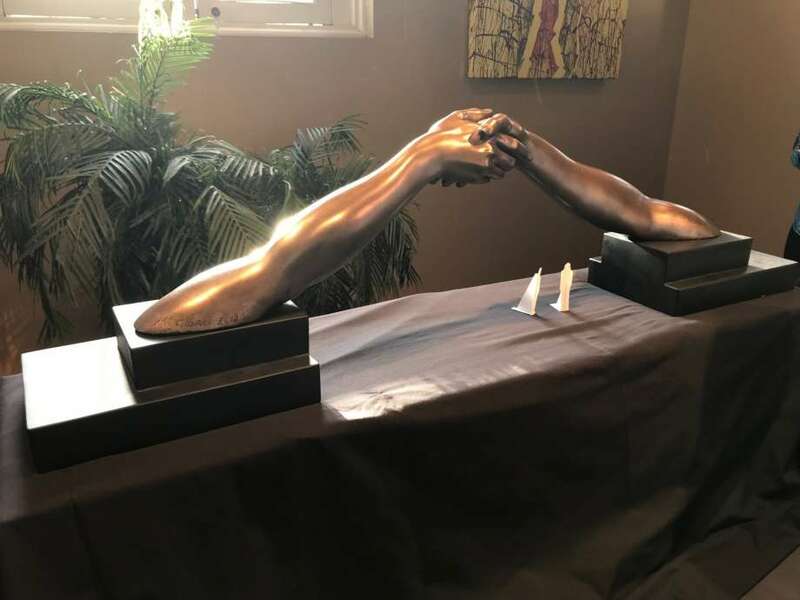 Actual size of the monumental bronze, The Welcoming Immigrant Rights Peace Sculpture for Laredo will be over 65 Feet Long by over 20 Feet high. Contribute generously to “The Welcoming” Immigrant Rights Peace Sculpture and build our momentum for our beautiful, important immigrant rights monumental bronze sculpture, over 65 Feet long by over 20 Feet high. Your contribution to build this long-overdue “Statue of Liberty for our time,” (this time on the U.S. border with Mexico) on Laredo city land, at the approach to the largest Inland Port of Entry in the US, in Laredo, Texas will be U.S. tax deductible. Arts Way Home Charitable Fund Inc, P.O. Box 48696, Washington, D.C 20002. From our arts artswayhome.org website homepage you are only a click away from our Facebook site! Marcello Giorgi is a Master Sculptor in the classical figurative style. Marcello Giorgi was born in 1962 in Pietrasanta, Italy, a city steeped in art, traditionally recognized for the quality of the work of its master artisans and famous for the creation of marble and bronze sculptures. Pietrasanta’s enduring artistic heritage continues to this day due to the flourishing of significant works by many of today’s most influential artists. Marcello's love of the classical tradition defines him as a pre-eminent portrait sculptor. Marcello attended the Pietrasanta Art Institute 'Stagio Stagi’. At the age of sixteen entered into a ten year apprenticeship at the Claudio Mariani Foundry, learning from master artisans the techniques of mold making and bronze casting. He was selected in 1988 to assist the acclaimed Polish sculptor Jgor Mitoraj which gained him an in-depth understanding of figurative art and form along with the further mastery of clay modelling methods.In 1991 he founded his own sculpture studio in Pietrasanta, assisting many of today's major contemporary artists, and with his extensive knowledge and experience worked on a wide range of successful collaborations. Marcello has now relocated to Montreal, Canada with his Montreal partner and fiancee thus allowing him to work in close association with the OWHR Institute-Quebec. His works can currently be found in museums, public spaces and in private collections around the world. 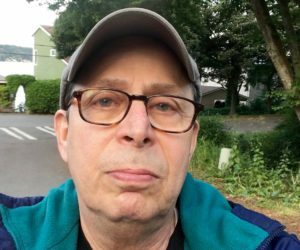 Award winning filmmaker Steven Fischler will prepare the “Immigration and Immigrant Rights” multi-media video installation to accompany “The Welcoming” Immigrant Rights Peace Sculpture placement in Laredo, Texas, working in collaboration with the City of Laredo. 2014. Fischler wrote and directed the documentary, “Five Finger Discount: A Crooked Family History,” based on the best selling memoir by Helene Stapinski, which had its broadcast premiere on Thirteen/WNET in March of 2017. 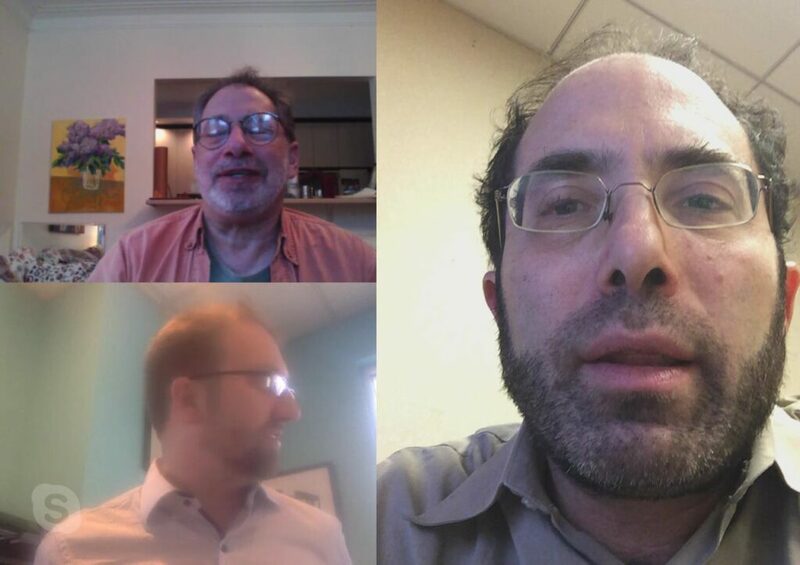 Here below is a photo sampling from our organizational Skype meetings with Arts Way Home Charitable Fund, Inc’s Board of Directors members, Isaac Romano (Upper Left) and U.S. constitutional and human rights lawyer and Arts Way Home Charitable Fund, Inc’s Executive Board member, Jonathan Hafetz (right photo). This meeting was on Skype with “The Welcoming” Sculpture Project Team staff member, Reverend Colin Bossen (lower left), Acting Senior Minister of the First Unitarian Universalist Church of Houston and human rights leader. Progress and plans for fundraisers and community events are underway, with the help of these and many other leaders of this important project for Laredo, Texas and the nation. Celebrating and honoring Nation to Nation familia cooperative relations with Mexico. This project exemplifies Policies of Generosity. Example of "Abrazo (An Embrace! ).